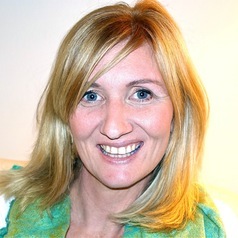 Allison Sterling Henward is an assistant professor of early childhood education at The University of Hawaiʻi at Mānoa. She is a former early childhood teacher who earned her PhD in Early Childhood Education with a focus on Anthropology in Education at Arizona State University. Her research and teaching interests focus on the sociocultural nature of early childhood programs and on how children engage with media culture. Noting that media is intertwined with modern childhood, her research focuses on the meanings ascribed to popular culture and media by parents, teachers and, most importantly, children in specific communities that vary by social class, culture, and ideological/values orientations. The central aim of her research is to determine relevant and culturally appropriate curriculum and pedagogy for children and families in local early childhood classrooms. Her work has appeared in Anthropology and Education Quarterly, Gender and Education, Journal of Curriculum Theorizing and Contemporary Issues in Early Childhood. Most recently, she has been researching how teachers, children and parents think and talk about American media and the role it plays in preschools located in American Samoa.